Wickson’s personal and professional stake in LifePharm, as well as enthusiasm and commitment to growing the company, gives him an unparalleled perspective as the company’s Vice President of Finance. 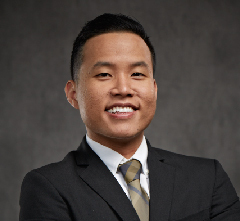 He has a deep understanding of the intricacies of LifePharm, and has spent the entirety of his career in the Direct Sales/MLM industry devoted to LifePharm, taking the company from zero to 100,000 IBOs in the company’s first two years. Even with the company’s continued exponential growth, Wickson carries the same passion and commitment to the wellbeing of each LifePharm IBO that he’s had since the company first opened its doors in 2011. His Bachelor of Science degree in Math Economics and minor in Accounting from the University of California, Los Angeles, and his passion for investing in various financial instruments further his innate systematic and methodical approach to business. He also enjoys watching and playing sports, traveling, and sampling various cuisines.